Authorities sought Friday two women who may have witnessed a shooting outside a convenience store in the Colina Del Sol neighborhood that left two Oceanside men dead and a third person wounded. 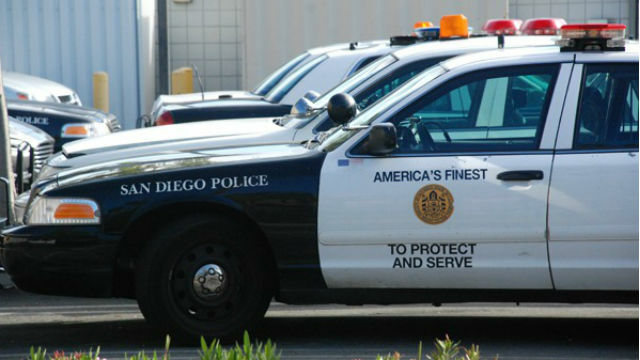 Deon Fontaine Peterson, 28, and Joseph Anthony Ponder, 26, were shot multiple times about 12:20 a.m. Nov. 1, while sitting inside a car parked outside the store on El Cajon Boulevard near 52nd Street, according to San Diego Police and Crime Stoppers. A woman who also was in the car suffered a non-life-threatening bullet wound and a fourth vehicle occupant was not hurt. Police said the trio was shot by at least one member of a group they argued with prior to the shooting. The suspects fled before officers arrived. Images of two potential witnesses were captured on surveillance video. The first was described as a light-skinned Samoan woman of 20 to 25, about 5 feet 6 and 120 pounds with curly hair worn in a bushy ponytail. She was wearing a black Raiders jacket. The second woman was Hispanic, 20 to 25 years old, around 5 feet 2 and 145 pounds with black hair pulled into a bun. She was wearing a white V-neck long-sleeve shirt and black pants with an orange stripe on the side. Anyone with information on either woman or on the suspects was asked to call police at (619) 531-2293, or Crime Stoppers at (888) 580-8477.